I’ve had my iPhone XS for a little over three months, and it’s driving me crazy. Not the whole thing. The phone is beautiful, fast, a joy to use. What’s driving me crazy is an increasingly complex network of scratches on the display glass. The first ones were small, almost unnoticeable at a glance. Then, about six weeks after I spent well over $1,000 upgrading to the iPhone XS, a ribbon-shaped abrasion appeared on the screen and then another. The worst part is that Apple is pitching a fit about fixing it. Before you cast too many judgments, let me own up to a few facts about how I treat my phone. I don’t use a case. I never lay it face-down on a surface. Frankly, I baby the thing, because it costs as much as a cheap used car, and I’m an unusually anxious person who can’t stand the sight of the smallest ding or crack. That was the crux of a post I wrote last year, after noticing how easily the iPhone X screen developed scratches. But the iPhone XS was supposed to be better, more durable. Apple said it had the “most durable glass ever on a smartphone.” Apple said that about the iPhone X, too, although the company has never fully explained what that claim means. I can’t imagine it means that the new glass is more scratch resistant than what’s been on earlier iPhones, because I’ve never had so many issues with surface scratches as I had on my iPhone X and, now, my iPhone XS. In retrospect, I never should have upgraded. My iPhone XS review actually made it pretty clear that the X-to-XS jump didn’t make much sense because the new iPhone is almost identical to its older sibling except for its beefier processor, better cameras, improved antennas, and according to Apple, more durable glass. Plus, all these new iPhones are built to be more future proof than any iPhone ever. The glass thing hooked me, though. I’d cracked the back glass on my iPhone X, and while that could be repaired, I figured more cracks were inevitable. Plus, having very publicly complained about the scratch-prone screen on the iPhone X, I figured the slightly better performance coupled with the improved durability would make sense for what I wanted to do: buy one iPhone and keep it for four or five years. The other thing that hooked me was the Apple Upgrade Program, which I joined in 2016. The program lets you get a new iPhone through an interest-free loan that you pay down in 24 monthly installments, which include the cover the cost of the device as well as AppleCare. After a year, you can trade in your device for a new iPhone. If you don’t want to upgrade, you just pay off the loan in two years, at which point, the iPhone is yours free and clear. So when the iPhone XS came out, I was faced with the option of keeping my iPhone X, paying down the loan for another 12 months, or I could upgrade to the iPhone XS, start a new loan, and end up owning a better device after another two years. This doesn’t mean that you can upgrade for free. For one, upgrading means you lose all the equity you built up on the one phone. I used to own half of an iPhone X. I essentially traded that in for the privilege of getting an iPhone XS. On top of that, I had to pay sales tax and an upgrade fee to Verizon. I also had to pay a $100 incident fee for the crack on the back of my iPhone X, which was a bit of a surprise, since I figured AppleCare would cover a single crack. So although my monthly payment remained when I got the new one, the upgrade ended up costing me a few hundred dollars in the grand scheme of things. And then I got these scratches! It’s hard for me not to sound like a brat, since screen scratches can be easily avoided by using a screen protector and a case. The fact of the matter is, no matter how much anyone babies their phone, glass is bound to scratch. I guess I just sort of hoped I could enjoy a pristine screen for more than a month before my expensive new iPhone XS developed a whole network of them—just like my iPhone X had. Unfortunately for me, AppleCare can’t solve my scratch problem. In multiple conversations with both Genius Bar employees and Apple Support, I was told that surface scratches were treated as cosmetic damage and were not covered. One Apple employee slyly suggested that if my screen somehow developed a crack in it, I could get the entire display replaced for just $30. If I just wanted to replace the display as it was, scratches and all, Apple would charge me over $200. And replacing the display would be the only way to rid myself of the scratches. There was no magical buffing machine in the back of the Apple Store and no way to replace the glass itself. I seriously considered taking a hammer to the screen. Just one crack and I’d get a brand new flawless screen for the price of a pizza dinner. Here at Gizmodo, however, we do not encourage or condone the destruction of gadgets for personal gain. Plus, it’s a pretty daft idea to break an iPhone on purpose. 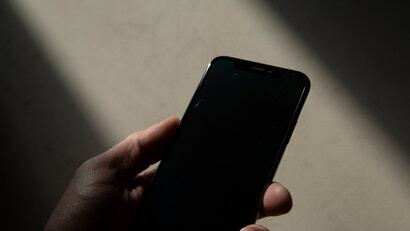 So I’m stuck with the iPhone XS, and I’m stuck with the scratches. And because the screen is scratched, I feel very pessimistic about the resale value. This makes me want to double down on my initial ambition to keep the phone for five years. And if I want to avoid any more dumb damage, I’d have to get a case. After years of gleefully flitting through life with a naked iPhone, I must finally become a case person. There are a million options for iPhone cases, and I tried a range. I tested a goofy leather case that makes your phone look like the classic Adidas Samba soccer shoe. I spent time with the latest $100 Mophie charging case which made my phone feel like a dull brick. I also tried both of the Apple-branded iPhone XS cases, and using those helped me realise that I wanted a case that would be as minimal as possible. So my main goal became finding a case that left the iPhone XS feeling as close to case-free as possible. Maybe unsurprisingly, the Apple-made cases almost did it for me. Both the leather and silicone versions fit snuggly enough to slide into my jeans pocket easily, and I like that they have raised buttons for volume control and power. 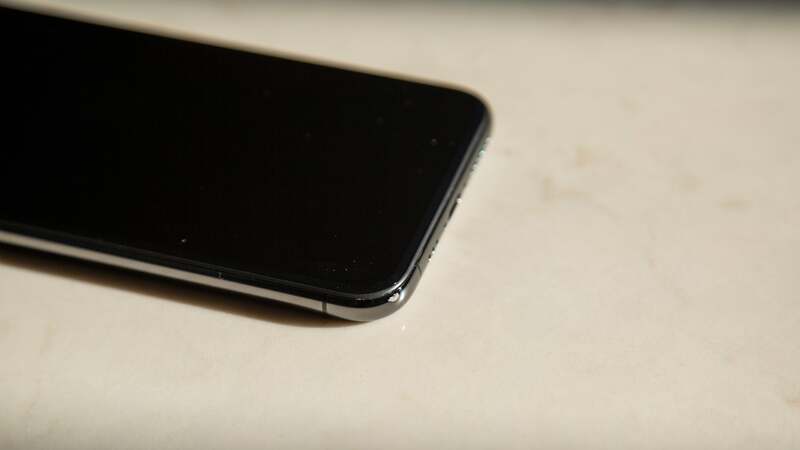 What I really don’t like about the Apple cases as well as a lot of other third-party cases was the extent to which the sides of the case create little ridges around the phone screen. So when I swipe across it, I end up bumping into these instead of smoothly sliding off the edge in the pleasing, slalom-like fashion you get with a case-free iPhone. I ultimately settled on a company called Peel. “Case” is almost too big a word to describe what Peel makes. 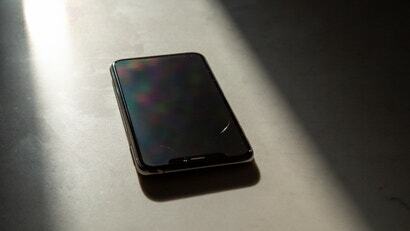 They’re basically super-thin plastic skins that snap on to your phone and provide the slightest amount of protection. Peel also makes a low-profile glass screen protector that successfully hid my scratches, when I installed it. The Peel case costs $30, as does the glass screen protector. So for the $60, I had a somewhat protected iPhone XS and newly scratch-free screen. Which is a heck of a lot cheaper than the $200+ screen replacement that Apple wanted me to get. For reference, the cheaper silicone case made by Apple costs $40, and the Belkin InvisiGlass Ultra screen protector that Apple will install in their stores using special machines costs $40. Now that it’s safely wrapped in a minimalist case and sealed with a glass screen protector, my iPhone XS sort of feels new again. It also reminds me that my iPhone X would have felt exactly the same in the same $60 skin. Yes, the iPhone XS has a better processor, though I don’t think anything I do with it requires as much power as it offers. Yes, the XS camera is slightly better, though I don’t even notice the difference when taking pictures of my dog (which is mostly what I use the camera for). Yes, Face ID is a fraction of a second faster. But unfortunately, the iPhone XS just didn’t end up being as durable as I thought it would be. It definitely doesn’t feel more durable than my iPhone X did. Looking back at my decision to upgrade, I realise that regret was inevitable. On a practical level, it was a cavalier thing to do. I didn’t need a new iPhone. The one I had was banged up, sure, but it worked just fine. I wanted a new phone, though, and Apple made it so easy to take the leap that I shuffled the sketchy economics of upgrading into the back of my head, letting the promises of Apple’s marketing team hold my attention. I should have known better. Even if my iPhone XS were still in mint condition, I think I’d be second-guessing my decision at this point. Unlike my last upgrade from an iPhone 7 to an iPhone X, my life did not meaningfully improve when I got the iPhone XS. The fact that it got banged up so quickly, too—well, that makes me regret the regrettable decision to upgrade even more. It’s not the end of the world. I spent money I could have saved, but I do hope this extended, hand-wringing confessional might be helpful to any iPhone X owners who might be considering bumping up to the newest model. Then again, Apple will be announcing another new iPhone in six months. And then another one a year after that. You don’t need to buy any of them, and I hope I don’t. At least, not until this scratched up iPhone XS sees its fifth birthday. Then, maybe it will be worth it.